Heather: In five or ten years, I knew most of my friends would be married, have kids, or be so busy with careers-so crashing on their couches would no longer be a viable option. During this transitional period in all of our lives, I figured the opportunity was still ripe to impose on their generosity and strengthen relationships that might otherwise fade away. In mid-January, after a farewell poutine (that’s French fries with gravy) at a Montreal landmark, I boarded on a bus bound for Vancouver. 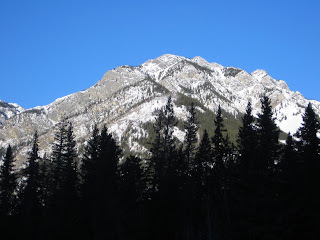 Over the course of the next 5,000 km and 75 hours, I met up with my aunt for a quick coffee in Ottawa, played countless games of crazy eights with my fellow-travelers, learned dozens of dirty jokes, read two books and gotten the BEST view of the sunrise in the Canadian Rockies. Long-distance bus travel is cheap if you buy your tickets ahead of time and, since you sleep on the Greyhound, also saves on accommodations. People with days to spare traversing the continent inevitably have interesting stories and the inclination to share. I got on the bus half-convinced I would regret my penny-pinching. Now, I cherish it. I was alone for only a few days during four months abroad. My night at the Pender Lodge in Vancouver was the first and the most unpleasant. Unable to find the showers (and you REALLY want to shower after 75 hours of bus) and traumatized by the sketchiness of the other lodgers, I couldn’t wait to get on the ferry to Victoria where Ana, who is doing a master’s at UVic, was waiting for me. After the most glorious hot-water extravaganza, I set out to enjoy Victoria’s fantastic climate: I kayaked in Canada in mid-winter! 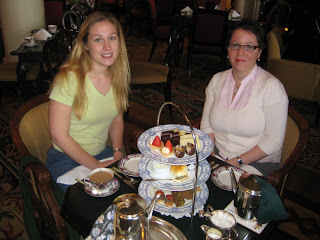 We had tea at the Empress Hotel and stared awe-struck at the little sandwiches and desserts. I convinced Ana to join me in Vancouver for the weekend where we shared a hotel room with a king size bed, walked Stanley Park and gorged on sushi, shopping and dancing. I’d been to Australia a year earlier and was prepared for the intense screening at customs. The plan: To take Sydney’s public transit out to Bondi Beach where I planned to stay with Ben, a café owner, whom I had met twice before but chatted with for hours online. We left the city and visited his family in the Blue Mountains (an hour or so west of Sydney) where I spent an afternoon reading Naomi Klein’s Shock Doctrine and waiting for the white cockatoos to perch on a tree above me. I was not disappointed. Ben and I were planning to drive up to Byron Bay to camp on the beach for a week, so we bought a gazebo to rig up on the side of Ben’s delivery van. I spent my days in Byron reading under a large umbrella (which I never got the knack of putting up) and my evenings skinny-dipping under moonlight, playing soccer with other travelers and staring at the clouds while listening to Radiohead albums. Whenever we needed an escape from the roar of the waves and the sun’s heat we drove to a teatree pond’s still waters. Rather than let ourselves get tired of this nomadic living, we took up a local resident’s offer to stay at her home in Tyagarah for four days and visited the neighboring towns, all the while searching for free wi-fi and the perfect soy latte. Ironically, as a Montreal native, found the best almond croissant EVER in Bangalow at the Choux-Choux pastry shop. After a short layover in Toronto-where I shared a bed with my best friend and did my best to avoid the city altogether by watching Woody Allen movies and eating imported candy and chocolate-I returned to Montreal to check-in with family and friends before heading off to New York. My friend Bryan let me crash on a spare bed in his NYU graduate residence, then took me on a whirlwind grocery tour of Little Italy, Chinatown, Soho (and, of course, Trader Joes) with a brief foray into the Blue Owl for free drinks. After taking the shuttle bus to Newark airport and the LONGEST eleven hours of airport security and airplane mechanic problems, I was on a plane for the Holy Land. 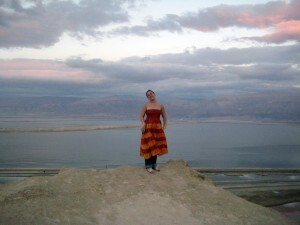 It took until two weeks before my next departure to figure out that Bethlehem is in Israel. Preoccupied by planning adventures in Australia (and, in the end, not following the itinerary at all) and so excited to meet up with two of my favorite Montreal ex-pats Merav and Arieh, I’d somehow completely forgotten all about visiting the Christian pilgrimage sites. My hosts had never before walked the Stations of the Cross, visited Nazareth’s churches or walked through the Garden of Gethsemane. 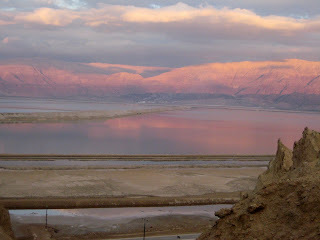 Israel’s landscape is…other-worldly. 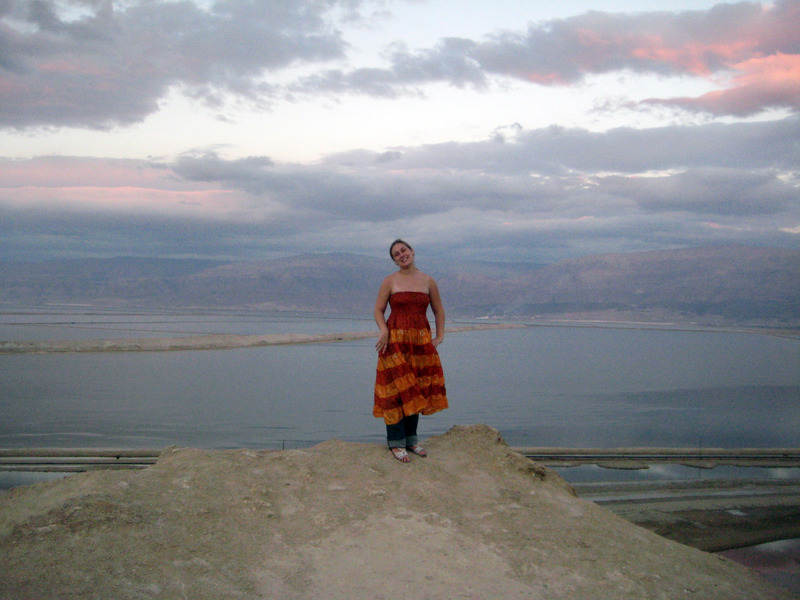 We climbed the cliffs around Mount Sodom and took in the colors of the setting sun reflected on the Dead Sea the same day we scuba-dived with dolphins and “camped” in the Makhtesh Ramon under the stars. Since we didn’t have a tent, we pulled down the back seats of our vehicle and slept like sardines in a can. Although I drank pomegranate wine, walked in the footsteps of Christ, climbed Masada, swam in a waterfall and got smacked in the head by a sea turtle-I never did make it to Bethlehem. I’m back in Montreal now, working again as a debt-collector for a few more weeks before I get on a plane for four days in Rome and a month in Perugia where a friend and I have rented an apartment. These past four months have been an adventure well worth the maxed-out credit cards and frugal living. 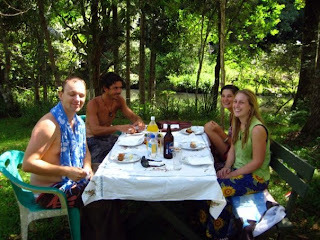 My advice to anyone planning a couch-surfing trip around the world-don’t be afraid to impose! While having house guests is a huge hassle, if you make it clear that you will return the favor in the future and do your best to ensure your host is enjoying him or herself (i.e. be flexible, avoid overly touristy attractions and embrace impromptu relaxation), you’ll bring vacation to an acquaintance and leave with cherish memories of time well-spent with a life-long friend. Consider yourself a professional couch-surfer-or just a pretty darn good one? Write to us at LostGirlsWorld@gmail.com to share your experiences. We want to know more about this thrifty way to travel!